If there’s one thing we know for sure, it’s that social media shows life exactly how it is. No filters, no staging, and no faking it. Just 100% reality. Ok, that’s not even close to the truth. Social media is a projection of the reality we’re all pretending to have, complete with editing, good lighting, flattering angles, and emoji-laden captions. Not to mention the thousands of people being catfished as we speak. 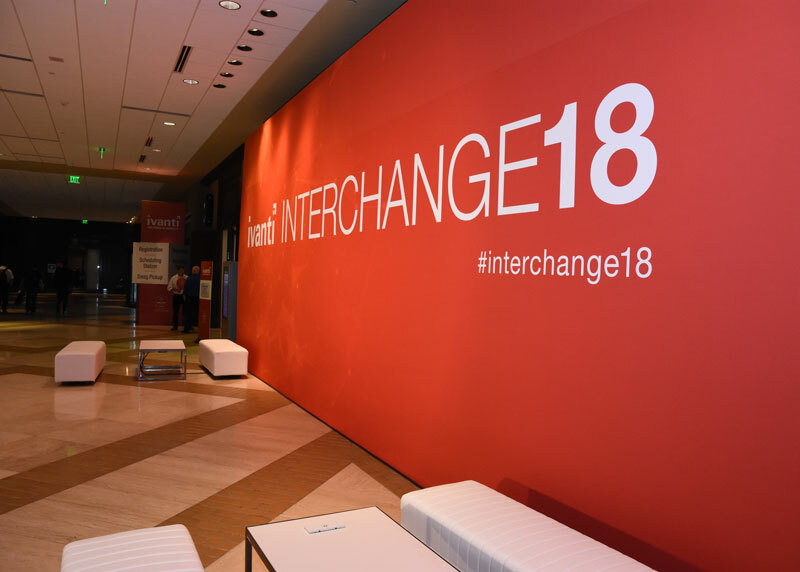 Despite all that, we think the #interchange18 posts were pretty genuine. How do we know? Well, we saw the attendees in person as well as on social media, and there was no difference. Here’s a recap of the week’s greatest hits via social media. We had several comments from attendees about the strange collection of artwork and sculptures at the Hilton Anatole. The Berlin Wall was there, too. Pictures with executives were a big deal this year. These attendees got two executives in one picture. CEO Steve Daly is always game to take a selfie. Jason Lesko finally met the man, the myth, the legend, CMO Steve Morton. Customer selfie with CISO of the Year, Phil Richards. Who won CISO of the Year. Oh, we said that already. Ivanti swag is always a fan favorite. The more swag, the better. Ivanti swag + partner swag = SO MUCH SWAG. Partners even had birthdays during Interchange! Thanks for spending it with us. One of our staff members also had a birthday. We used it to frame happy prize winners. It wouldn't be Dallas without custom cowboy hats. This is called the smoulder. A "Guess the Meme" game. Tweets showing up on the social wall. Eric Farlow's acting debut as a child on the show Dallas. We pretty much all agreed that Pablos was awesome. We also set time aside to give back to the community. People enjoyed the conference booths, such as the Interchange IT Podcast booth. And the Ivanti Insiders booth with Cache Walker. The Texas-themed party was a blast. Look at these smiling faces. Some people even went back to the future. And everything is bigger in Texas. Do you think he's getting sun in his eyes? But the highlight of the party was probably Steve Morton riding the mechanical bull... and then falling. And apparently splitting his pants. And last but not least, this classic viral meme—Ivantified. Thanks to everyone who tweeted and made Interchange Dallas our best year yet!